Dead Animal Removal is a common call Hayman Wildlife Management receives from customers throughout Stevensville, Benton Harbor, St. Joseph and the surrounding areas. Some animals may be too large and very hard to remove on your own. Not to mention, most dead animals may have diseases that you can catch and should be handled by a professional wildlife company. Dead animal removal is often times complicated by local municipalities and state laws concerning the animal and where it is located. Companies that perform this service do charge for their services, there are several factors that go into pricing for such a service. The major factor in determining how much a company charges for dead animal removal is the costs that are associated with the disposal of the deer after they pick it up. Often times, landfills will charge a commercial company to dispose of the animal, thus they pass the charge onto you. Another factor is gas, time, accessibility to the dead animal and the weight of the animal. All of these factors go into making pricing for such a service. 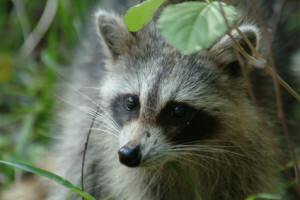 Hayman Wildlife Management handles wildlife removal (dead and alive) throughout Southwestern Michigan. Call us today at 269-588-0176 for all of your wildlife problems.